McDonough has composed fives piece through the Fingersteps program, and recorded two of them. Each melody is based on melody fragments written by the children. McDonough then created harmonies and rhythmic patterns to fit the melodies. Since the children wrote melodies unrestricted by conventional music training, they pushed McDonough to use unconventional harmonies, rhythms and meters. Rosie wrote the A section melody, Jennifer and Patrick wrote the B section melody, and McDonough placed them over shifting minor harmonies and a 5/4 Latin meter. McDonough put it into revolving 5 note phrases. 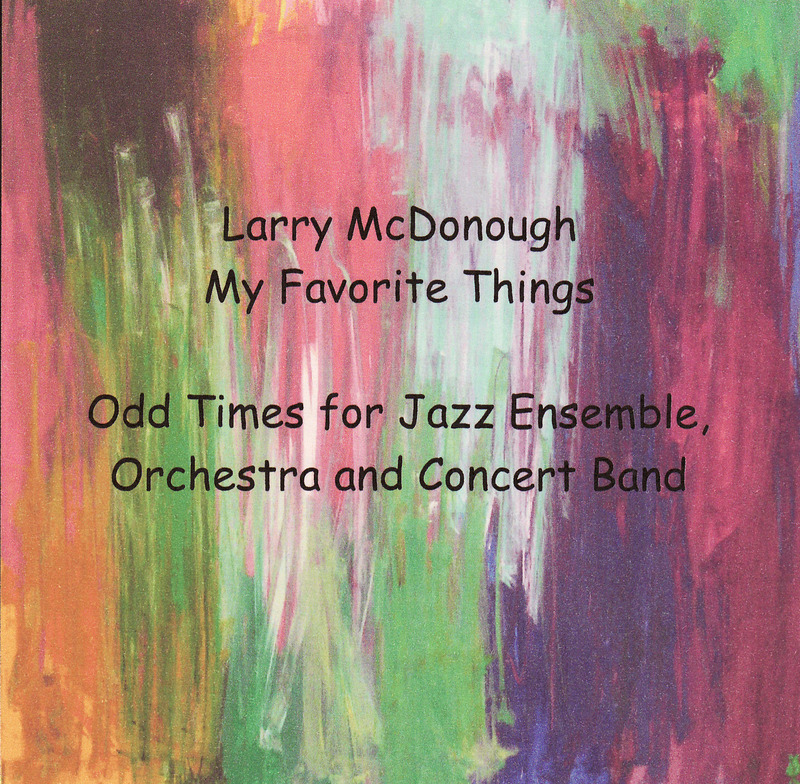 From the Larry McDonough Quartet CD, Simple Gifts. McDonough took the melodies written by Elie, Jack and Christian and used them as long tones, over a fluid 7/4 bass pattern. The melody drove a harmonic structure which moves from Bb minor to E minor, an unusual modulation of a tritone. Poet, English Professor and sax player Richard Terrill added lyrics. Christian wrote a 5 note melody, and McDonough put it into revolving phrases, some forward and some backward, over an fast walz rhythm, leading to an unusual 22 bar length for the piece. Richard Terrill added lyrics. Lucas and Jack wrote an angular melody which McDonough used as long tones over a ostinato funk bass line. Performed by the Larry McDonough Quartet on the CD Alice in Stonehenge and other AcoustElectric Adventures.